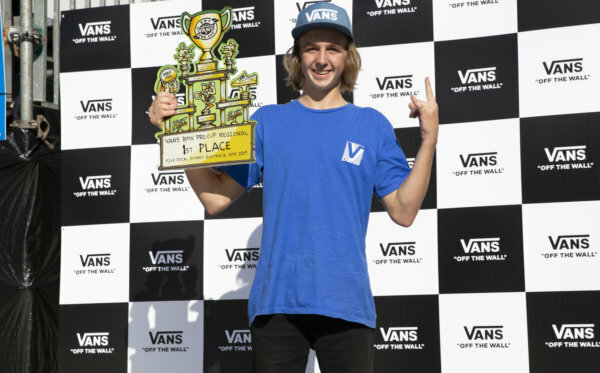 The Vans BMX Pro Cup closed out the final rounds of the third regional qualifier event this afternoon, securing the final competitive field of 31 promising BMX talents and top-ranking tour pros to compete Sunday, June 4 in global qualifiers at the city’s beloved Montenegro Skatepark. 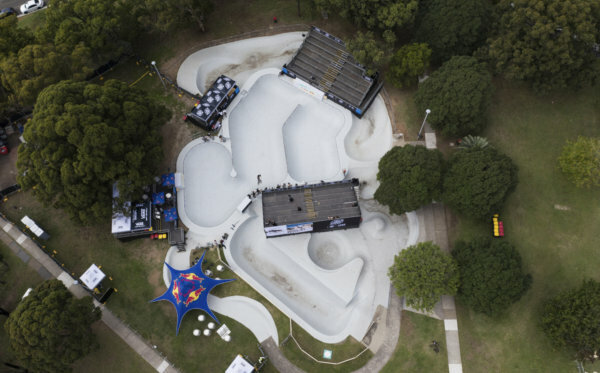 The crowds in Guadalajara, Mexico witnessed Brazil’s Cauan Madona surpass 50 local and international riders in today’s open prelims with his fluid riding style and powerful tricks to claim a victorious first-place, securing his invite to the Vans BMX Pro Cup World Championship in California and earning a sweet $1,000 USD prize. Tracking close behind, local hero Jose Gabriel Torres Gomezshowcased unstoppable energy and diverse trick choices to earn second-place, while Brazilian Caio Sousa’s back-to-back maneuvers placed him in third, joining Madona and Torres Gomez with invites to the World Championship. In a special highlight of the day, David Peraza pulled a clean backflip transfer straight into a front-flip over the bump-jump. In the women’s division, BMX pioneer and USA rider Nina Buitrago ranked as today’s top rider with her steady 50/50 grinds, soap box feeble grind and bold wall-rides on the stone-faced wall. Angie Marino’s relaxed style and fearless riding made her the second highest scoring woman as she tackled a massive bowl transfer in today’s contest. 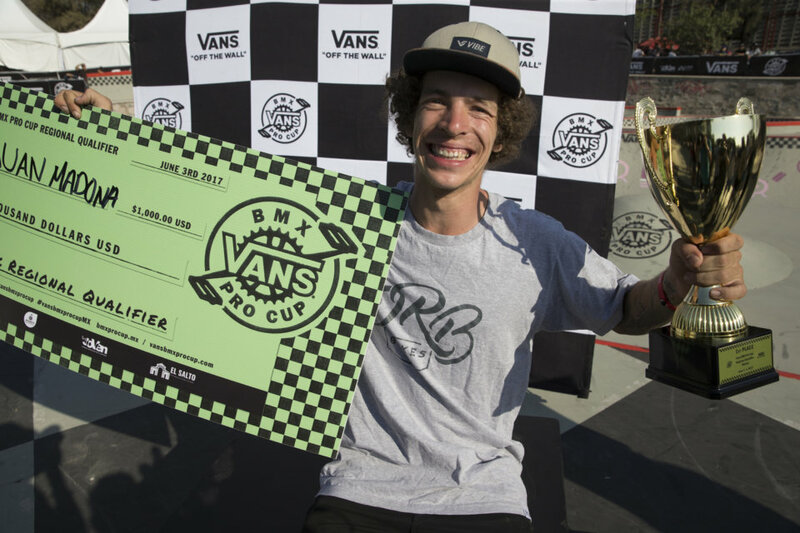 Since Buitrago and Marino already have invites, Mexico natives Tania Torres Reyes and Margarita Judith Valenzuela Meraz will earn spots in the Vans BMX Pro Cup Series World Championship women’s division. 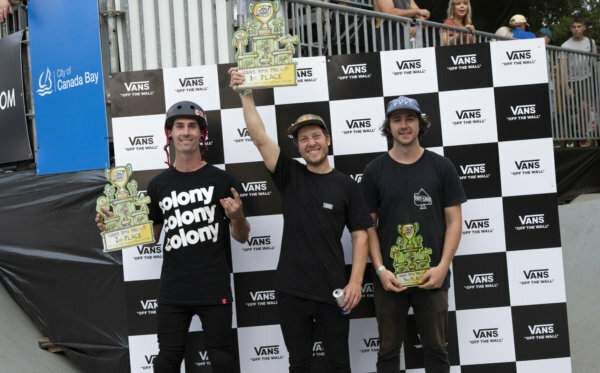 The final Vans BMX Pro Cup Global Qualifier of the season begins Sunday, June 4, as the top 14 advancers from today’s contest will meet the 15 advancing series pros and two wildcards for an adrenaline-charged park terrain competition!